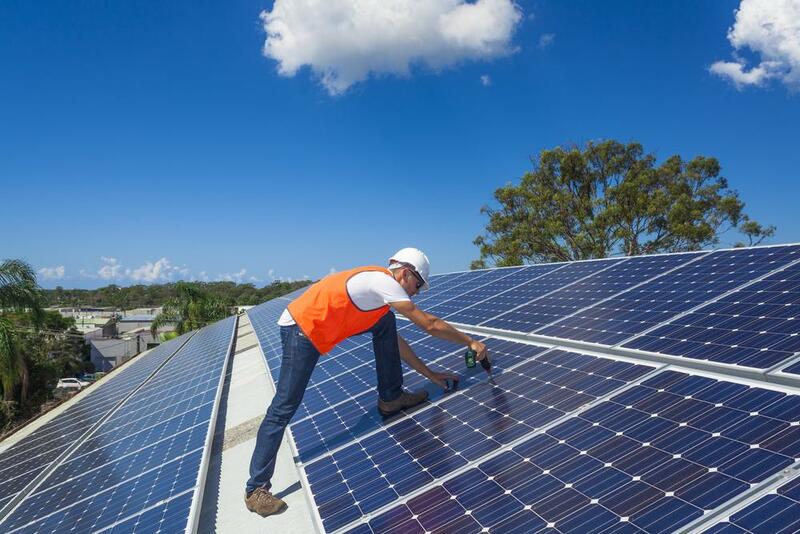 Distributed Generation: What Are the Benefits? Increased efficiency. Reduced rates. Improved reliability. Diminished emissions. 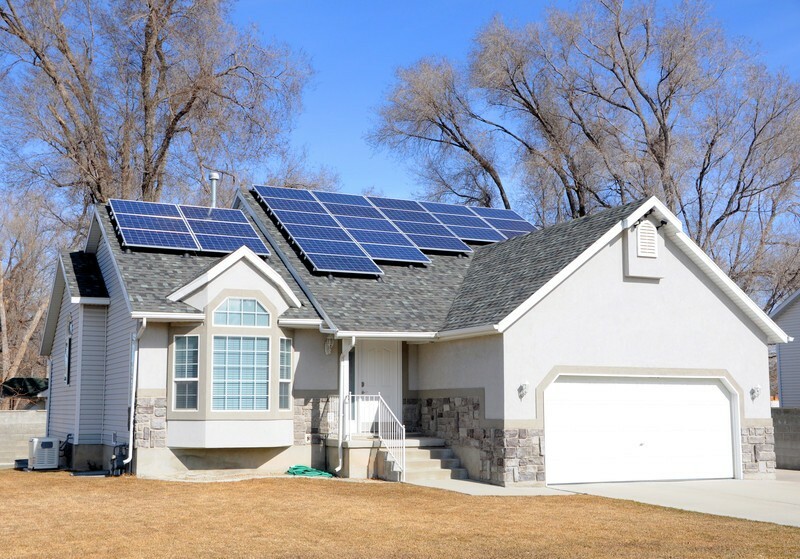 If all of that sounds good to you, then you ought to know about the benefits of distributed generation. A few weeks back, we covered microgrids and why they’re important in the context of the larger, main grid. As you might recall, microgrids are defined not by their size, but rather by their function—crucially, their ability to break off from the main grid and operate autonomously. Got it? Well, if that makes sense, think of distributed generation as a network of systems just like that. That’s oversimplifying it a little, but the overall concept holds true. 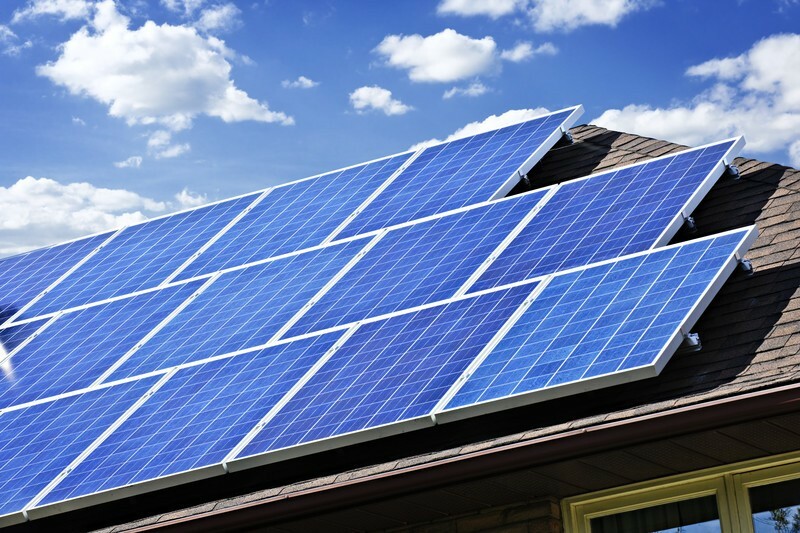 Distributed generation is when electricity comes from many small energy sources. Generally, these sources are local and renewable. They’re all connected to the larger grid but can also function separately. If all this sounds unfamiliar, that’s because it’s not the “normal” way of doing things. But it does have its advantages. In the traditional transmission and distribution (T&D) grid, large sources provide power to huge numbers of residential, commercial, and industrial customers. Some of those customers live close to the centralized power plants. Other live far away—sometimes very, very far. In contrast, a distributed generation (DG) system has smaller, decentralized sources that generate electricity much closer to the people who use it. There are lots of producers, and even though they produce less individually, they’re all connected to the grid. Together, they can be quite effective. Several technologies form the backbone of a DG system. Some of the most prominent are solar, wind, and hydro. Another is cogeneration, which is the production of electricity from what is essentially the leftover energy from other forms of generation. Yet another is an energy storage system, which stays connected to the grid and holds energy until it’s needed. Those are all really important concepts, but let’s focus on that first one. One way to think about the benefits of distributed energy is to visualize your cell phone’s network. Imagine for a moment that your carrier had only a few towers in just a few spots around the country. The towers would be massive and powerful, but you wouldn’t have the same reliability and coverage that you have now. The reasons should be obvious. With a network of smaller, more evenly placed towers, cell-phone carriers are able to provide the best service possible to their customers. Distributed generation is no different. When centralized power plants transmit energy over long distances, some of that energy is lost. With distributed generation, the generators are closer to those who use the energy. Thus there’s less waste. Increased efficiency. In the old model, a loss in service at any point of the grid means everyone suffers. In the new model, that’s less likely to happen. DG can also serve as a backup to the grid, acting as an emergency source for public services in the case of a natural disaster. Here in North Alabama, that kind of service could be invaluable after a tornado. And by producing energy locally, DG systems can reduce demand at peak times in specific areas and alleviate congestion on the main grid. Finally, because distributed energy tends to come from renewable sources, it’s good for the environment. Using more renewables means lowering emissions. And lowering emissions makes the world a more enjoyable place for all of us. A while back I shared with you a primer on the world’s oldest source of energy – bioenergy. Today, I want to look a little deeper at the pros and cons of bioenergy. Bioenergy a reliable source of renewable energy. We will never have a shortage of waste that can be converted to energy. As long as there is garbage, manure, and crops there will be biomass to create bioenergy. Bioenergy can be stored with little energy loss. As long as there is agriculture there will be a constant energy source. Bioenergy emits little or no greenhouse gas emissions and is carbon neutral. The carbon that is created by biomass is reabsorbed by the next crop of plants. Bioenergy doubles as a waste disposal measure. Bioenergy crops help stabilize soils, improve soil fertility, and reduces erosion. Bioenergy is a source of clean energy, the use of which can result in tax credits from the US government. Using wood from natural forests can lead to deforestation if the forests are not replanted. The cost of harvesting, transporting, and handling biomass can be expensive. Storing and processing of biomass requires large amounts of space. Some fuel sources are seasonal. May compete with food production in specific cases. As with every energy source there are pros and cons, but as you can see the pros for bioenergy definitely outweigh the cons. Bioenergy should be included as part of our larger energy picture that includes all types of renewable energy including solar and wind energy. Bioenergy is best when it is created using waste materials. These are materials that are by-products of agriculture and farming, downed trees, and our garbage and waste that would be left rotting in a landfill. These waste materials can create valuable energy at a relatively low cost, and using these for energy reduces the need for landfills, and helps preserve our surroundings while creating another source of power. Clean Energy Council 2012, Bioenergy myths and facts, Clean Energy Council, Melbourne. Australian Institute of Energy 2010, Fact sheet 8: biomass, 2004, Australian Institute of Energy, Surrey Hills, Victoria. Since 2013, Haley Hix, Sustainability Coordinator at the University of Alabama-Huntsville, has been hard at work, creating and implementing environmentally conscious projects. Her goal in each new endeavor is two-fold: to educate the Huntsville community about sustainable options and to make the UAH campus more environmentally friendly. The small town girl from Tennessee has always been keenly aware of her environment. Her position as Sustainability Coordinator required a little more initiative, but that’s something Haley isn’t lacking. HALEY: “We didn’t do any institutional changes. It was more an awareness program. And so I thought we needed to do something a little bit deeper. As a student I wrote a proposal for a campus green fund, researched other universities’ student green funds and put together a proposal for the vice president of finance. I proposed in August of 2013 and we got approval for 20K the first year. “Then I started doing little projects here and there and I eventually convinced this department that they needed a sustainability coordinator.” Laughter. Haley loves her job. She’s implemented a lot of projects in the two short years she’s held the position. If you’ve been to the Charger Union, or any academic building on the UAH campus, you’ve seen Haley’s first campaign: Hydration Stations. Fact: Only 1 in 5 plastic water bottles really find their way into recycle bins. Other projects followed, getting larger and larger in scale. Take for instance, the recent composting project, with four departments and three student groups involved. “Mike Marshall and I wrote a proposal for the Green Fund to start a composting project here at the community garden. “We built – and I mean we literally, physically built – this composting facility with solar panels on top to power the compost tea brew room. Solar panels power the tea brewer for the compost. We have a rainwater catchment system. We use the rainwater to make the compost tea. HALEY: “Half the size of this room…the pile is….about 9×12. Our grounds crew turns it for us. “We also have a vermiculture system. We take the compost and the worm castings [from the vermiculture system] and we use both of those things to make the compost tea. HALEY: “Yeah. That’s the other thing. We have curriculum designed around it. As big projects morph into even bigger ones, Haley plans to keep sharing the message. She’s most interested in the third piece of the environmental pie: environmental justice. She’d like to see more minorities in leadership roles and less environmental hazards placed in low-income areas. And of course – more projects! Stay tuned. Reduces packing waste by 95%. Decreases total waste by 11,900 lbs. Projected Savings: 700 gallons of gas. Projected Savings: $2,000 in maintenance expenses. Adds tree canopy to the UAH campus. Provides relaxing environment and reduces stress. Shades buildings for lower energy bills. Provides fresh fruits and vegetables for campus dining facilities. Connects the university with the larger Huntsville community. Offers hands-on learning experiences for Biology Department.